If you’re looking for an affordable luxury vehicle that is packed with standard features, you’ve probably been considering a vehicle from the 2019 Buick lineup. Congratulations, you’re looking in the right place! But, which Buick vehicle is the right choice when you’re looking for a midsize luxury sedan? At Rick Hendrick Buick GMC Duluth, we highly recommend checking out the 2019 Buick Regal. 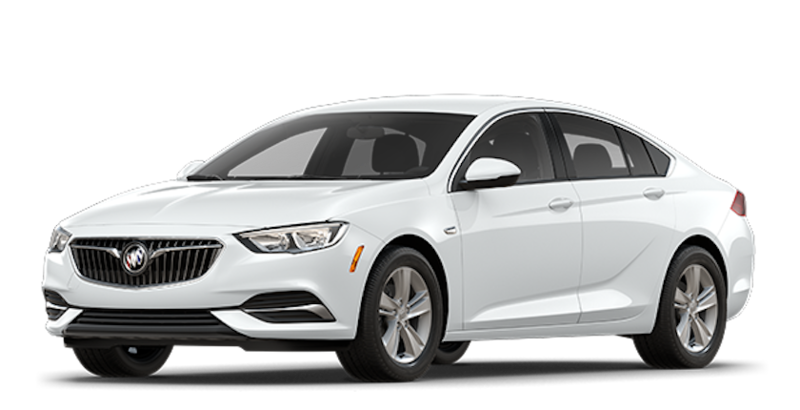 The 2019 Buick Regal is a versatile luxury car, known for its spacious interior and abundance of standard features. It is available in various body-styles including a hatchback and wagon, with each model offering its own varying trim levels. Drivers can choose from the 2019 Buick Regal Sportback, the sporty 2019 Buick Regal GS, and the incredibly spacious 2019 Buick Regal TourX. No matter what body-style and trim level you choose, the Regal offers a powerful, spacious, and luxurious ride. Equipped with its 3.6L V6 engine, the 2019 Buick Regal produces up to 310 hp and 282 lb-ft torque. Depending on which body-style you choose, the Regal comes standard in either front-wheel drive or all-wheel drive, however there is always the option to upgrade to all-wheel drive if necessary. In terms of entertainment, convenience, and luxury features, the 2019 Buick Regal offers plenty of standard and available features among each body-style and trim level. Compared to other luxury vehicles in the midsize sedan class, the Regal offers one of the wealthiest suites of standard features on its base model. This is even more impressive considering the Regal’s low starting MSRP of $25,070. Overall, the 2019 Buick Regal is an incredibly powerful and luxurious vehicle, and drivers and critics appreciate its class-leading cargo space. However, if you’re interested in purchasing the 2019 Buick Regal, it’s important to take a closer look at what it has to offer. So, here is how the Regal fairs in the automotive categories of performance, technology, model options, and luxury! The 2019 Buick Regal offers two powerful engine options, including a 2.0L 4-cylinder engine and a 3.6L V6 engine. Drivers will get the highest fuel economy ratings from the 2.0L 4-cylinder engine which offers up to 22 mpg in the city and 32 mpg on the highway. This engine provides a fair amount of power, offering up to 250 hp and 260 lb-ft torque. However, drivers looking for even more power will want to choose the 3.6L V6 engine which produces up to 310 hp and 282 lb-ft torque. When equipped with this engine, the fuel economy drops slightly to 19 mpg in the city and 27 mpg on the highway. But for drivers looking for increased performance, handling, and acceleration, this engine is the best choice. Drivers who purchase the 2019 Buick Regal Sportback will be offered front-wheel drive as the standard, but will have the opportunity to upgrade to all-wheel drive among higher trim levels. However, the 2019 Buick Regal GS and 2019 Buick Regal TourX offers all-wheel drive as a standard feature on their base models. Depending on which model, engine, and configuration you choose, the Regal will either come in an 8-speed automatic engine or a 9-speed automatic engine. For a luxury midsize sedan, the Regal offers impressive performance and its low starting MSRP of $25,070, makes it a popular option among consumers. The 2019 Buick Regal comes with an incredible amount of standard entertainment features. For no additional cost, drivers purchasing the base model of the Regal can enjoy its 7-inch touchscreen display, 4G WiFi, Android Auto and Apple CarPlay, Bluetooth, multiple USB ports, and a 7-speaker sound system. Drivers and critics note that the infotainment system onboard the Regal features touchscreen controls as well as physical controls, making it easy to utilize the system while driving. An abundance of additional entertainment features is available across the Regal’s various models for drivers looking to further enhance their vehicle. These available entertainment features include a larger 8-inch touchscreen display, wireless charging, navigation, satellite and HD radio, and a Bose sound system. In terms of convenience technology, the 2019 Buick Regal also offers quite a few standard and available features. Standard features on the base model of the Regal include keyless entry, Teen Driver technology, push button start, and even a rearview camera. Driver who upgrade just one trim level will also receive an 8-way power adjustable driver’s seat and an auto-dimming rearview mirror. Available features across the Regal’s trim levels and packages include remote start, dual zone automatic climate control, heated front seats, a power adjustable front passenger seat, and a moonroof. The 2019 Buick Regal also offers plenty of safety technology, including advanced driver assist features including blind spot monitoring, lane change alert, adaptive cruise control, adaptive headlights, rear parking sensors, forward collision warning, automatic emergency braking, lane keep assist, as well a following distance indicator. Together these help the Regal keep its drivers and passengers safe, even in less than ideal driving situations. Overall, the 2019 Buick Regal offers advanced technology in nearly every single automotive category possible. Whether you’re looking for advanced entertainment, convenience, or safety features, you’ll be pleased with what this midsize sedan has to offer. Which model should you choose? Well, it will really depend on your personal needs and budget. The 2019 Buick Regal Sportback is the least expensive model available and offers six trim levels. The Sportback is a hatchback, comes standard in front-wheel drive, and offers up to 60.7 cubic feet of cargo space. Meanwhile, the GS is actually considered the highest trim level of the Sportback and features the 3.6L V6 engine with all-wheel drive as standard. This is the more expensive model of Regal with a starting MSRP of $39,070 and is meant to be the sportiest version of this vehicle. However, drivers looking for as much space and comfort as possible will want to opt for the 2019 Buick Regal TourX. This model has a starting MSRP of $29,070 and offers up to 73.5 cubic feet of space. The Regal TourX is available in three trim levels and comes standard in all-wheel drive. No matter what body style and trim level you choose, you’ll enjoy a spacious, comfortable, and luxurious cabin onboard your new Buick Regal. As a luxury midsize sedan, you’ll find plenty of luxury features onboard the 2019 Buick Regal. These features vary based on the body style and trim level you decide on, however some of the available features include leather-appointed seating, heated front seats, massaging front seats, a heated steering wheel, power adjustable seating for the driver and front passenger, and a moonroof. Drivers looking for the highest level of luxury will want to consider the Buick Regal Avenir or Buick Regal GS, which are the two highest trims available on the Sportback. Drivers who have already decided on the wagon body-style of the TourX will want to opt for the Essence trim level to experience premium luxury features, this is the highest trim level available on this model. 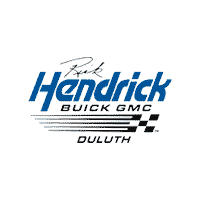 At Rick Hendrick Buick GMC Duluth, we strive to ensure that every customer that walks onto our lot receives an enjoyable car-buying experience. This begins with a warm and friendly greeting from our customer service staff, followed by the help of a knowledgeable and kind member of our sales team. Whether you’re interested in a luxury sedan like the 2019 Buick Regal or would like to explore other options, the team at Rick Hendrick will gladly guide you through our inventory and help you determine which vehicle is the right fit for you. And once you’ve chosen your perfect vehicle, our finance team will be at the ready with flexible financing terms to fit your monthly budget. However, our service doesn’t end once you leave our lot. For years to come, you can have your vehicle repaired and maintained by our expert on-site service center. Each technician you’ll find in our service center is properly certified and can handle all of the needs of your Buick or GMC vehicle. Our service center is also available for the installation of post-purchase accessories, and can even help you order parts for your vehicle. Overall, if you choose to shop with Rick Hendrick Buick GMC Duluth, you can feel confident that you’ll receive exemplary customer service, a high-quality and competitively priced vehicle, and the utmost care for the entirety of your relationship with our dealership. So, when you’re ready to begin shopping for your next vehicle, visit Rick Hendrick Buick GMC Duluth. Customers can also check out our user-friendly website or give our customer service team a call, today!